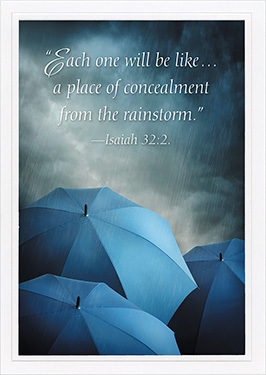 FRONT: "Each one will be like ... a place of concealment from the rainstorm." 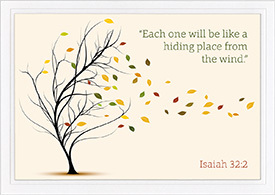 -Isaiah 32:2. 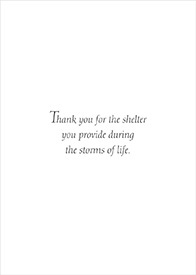 INSIDE: Thank you for the shelter you provide during the storms of life. An embossed white border nicely frames the high-gloss UV coated picture on the front. 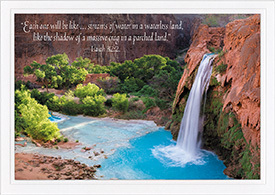 Size: 5" x 7" folded.